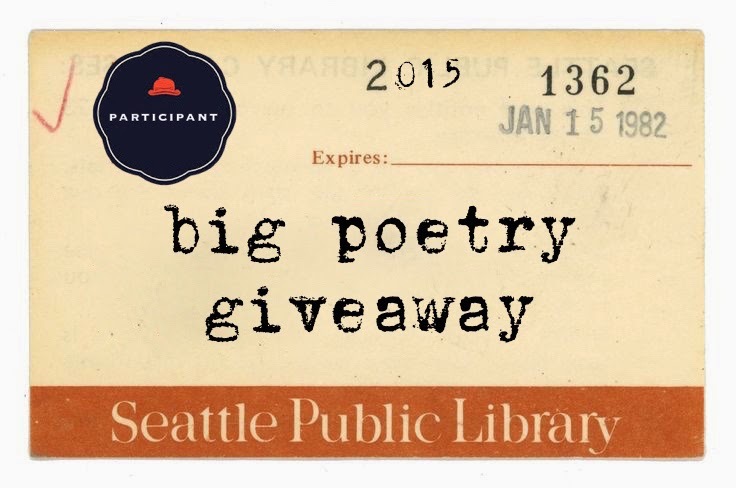 This is a chance for you to snag free books of poetry from participating bloggers. The goal of the giveaway,” Kelli says, “is to share our favorite poets with others as well as to visit different blogs and see who others are reading.” As enticements, poetry lovers will be giving away free books by their favorite poets and/or themselves. Even the postage is free… to anywhere in the world. I’m offering two books myself. Most of my poetry books have just gone to a library book sale fundraiser, but I did keep favorite ones—those by authors I know personally and those I especially admire for their artistry or inspiration. Rumi is my first giveaway. I’ll miss this book very much (at least till I replace it). 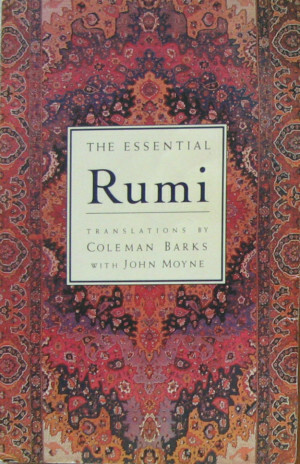 This is The Essential Rumi, translations by Coleman Barks with John Moyne. Rumi was a 13th-century Persian poet and Sufi mystic. Reputedly, he is the most popular and best-selling poet in the United States, among other countries. I love his poetry for its lyricism, imagery, spiritual depth, range (from sacred to profane), and story-telling. 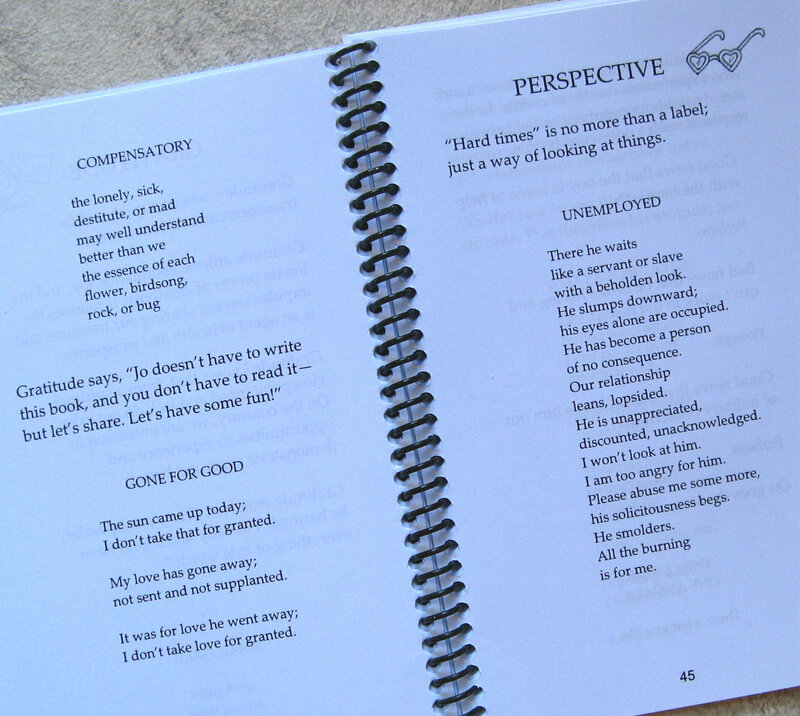 My second giveaway is WORDS for Hard Times, a limited-edition volume of my own poetry, prose, and artwork. It explores the challenges and blessings of being human, as well as relationships between people and the natural world. I’m excited in advance for this book to act as a connection to another appreciator of poetry through this giveaway event. IF YOU WANT TO PARTICIPATE in giving away books or if you have questions about the event, guidelines are posted here. Hi! Please enter me in your giveaway. Robin A. Sams at robinasams [at] gmail.com. I love exploring new poetry. Jo! I’m so glad you are participating! I’d love to have both of these books, especially yours. Beileive it or not, I don’t have a copy of Rumi. And the peek into your book is intriguing. LuvBritLit at G Mail. I would especially like to win your book of poetry! I hope I do!!! Please enter me in this drawing. Please sign me up. I look forward to reading your work or someone else’s of your choice. wanna win!! Yay, someone else writing poetry from the Pacific Northwest (unless I’m wrong in guessing that, haha). Glad to see you participating in NaPo and the giveaway! Please add me to the drawing. My Arkansas poetry group is called Poets Northwest… but I have had the good fortune to visit the Seattle area for a week and stay overnight at Lake Quinalt. I loved walking in the forests and on the ocean shore. Surprisingly (to me at least), it didn’t rain the whole time I was there. 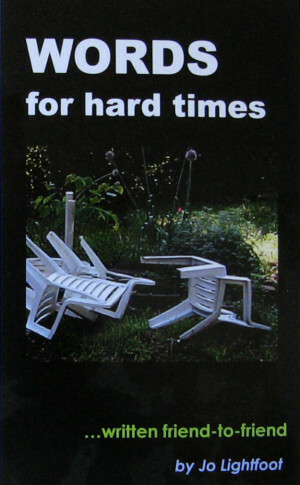 I would love to win your book Words for Hard Times. Please enter me in your contest! I’m pleased you entered, Jane. I would love to win either of these two books! I have read “The Essential Rumi” but don’t own a personal copy, so that would be awesome, and your personal collection sounds so enticing and so timely! Ann Hart at annmaryhart@hotmail.com This is a great way to see poets I may not otherwise meet. I bookmarked your page. Thank you for participating in the giveaway! Rumi is so great that by your words of it I am sure your poetry must be so great too. And I would love the opportunity to read it. Happy that you chose to participate. Rumi and Hafiz (Hafez) are both wonderful, especially in a spiritually ecstatic sense. 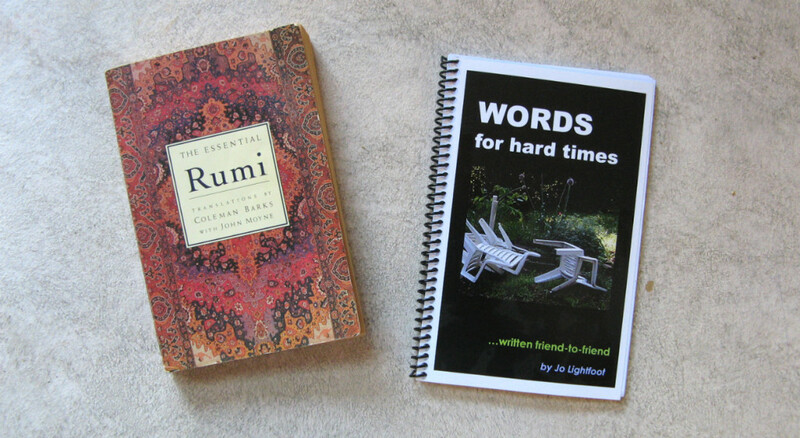 I always need words for hard times and rumi…..well no need to comment on that book! YES, please enter my name in the giveaway and thank you! I would love to win either of these! Yours look particularly fun and interesting. =) Thanks for doing the giveaway! Ooo, what fascinating books you are featuring! May I be included in the giveaway, please? Thank you!